Alasdair MacIntyre’s After Virtue presented a reinterpretation of Aristotelian virtue ethics that is contrasted with the emotivism of modern moral discourse, and provides a moral scheme that can enable a rediscovery and reimagination of a more coherent morality. Since After Virtue’s (AV’s) publication, this scheme has been applied to a variety of activities and occupations, and has been influential in the development of research in accounting ethics. Through a ‘close’ reading of Chaps. 14 and 15 of AV, this paper considers and applies the key concepts of practices, institutions, internal and external goods, the narrative unity of a human life and tradition, and the virtues associated with these concepts. It contributes, firstly, by providing a more accurate and comprehensive application of MacIntyre’s scheme to accounting than that available in the existing literature. Secondly, it identifies areas in which MacIntyre’s scheme supports the existing approach to professional accounting ethics as articulated by the various International Federation of Accountants pronouncements as well as areas in which it provides a critique and challenge to this approach. The application ultimately provides an alternative philosophical perspective through which accounting can be examined and further research into accounting ethics pursued. Chartered Institute of Management Accountants (n.d.). Misconduct. 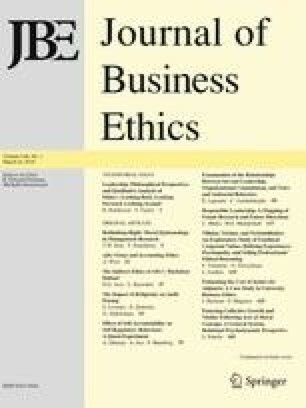 Retrieved June 19, 2015, from http://www.cimaglobal.com/Professional-ethics/Conduct/Misconduct/. CPA Australia. (2015). Fit and proper requirement. Retrieved June 19, 2015, from http://www.cpaaustralia.com.au/about-us/member-conduct-and-discipline/fit-and-proper-requirement. IFAC. (2015a). Ethics. Retrieved November 6, 2015, from http://www.ifac.org/global-knowledge-gateway/ethics?discussions. IFAC. (2015b). Organization overview. Retrieved June 25, 2015, from http://www.ifac.org/about-ifac/organization-overview.